My weekly blog special the “Smart Money Report” Wild Card edition is here to help you guys out. 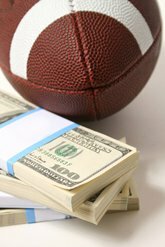 Make sure to check here every Thursday during NFL season as I utilize all my sharps aka professional bettor contacts, Las Vegas Oddsmaker contacts, and NYC bookies to give you the info on what’s happening behind the counter in the NFL betting marketplace with every game on the board. NYC Local Bookie Report: He’s telling me his ticket count is 50/50 but the sharp money is on the Chiefs here moving from -7.5 to -8.5. He’s up from 44 to 44.5 on the total with a little Over money. Las Vegas Oddsmaker Report: He said he has slightly more tickets on the Titans but more cash on the Chiefs moving him from -7.5 to -8. He said he took money on the Under at 45 and 44.5 but once he hit 44 he saw some opposing guys take the Over settling him back at 44.5. NYC Local Bookie Report: He’s telling me his ticket counts is 50/50 but the sharp money is on the Rams moving from -5 to -6. Sharps are heavy on the Under here moving this down to 48 from a opener. Las Vegas Oddsmaker Report: Another public dog here as he said almost 6 of 10 bets are on the Falcons. He said he has a little more money on the Rams moving them from -5.5 to -6. His Total is down a half of point from 49.5 to 49. Las Vegas Oddsmaker Report: Another public dog here as he says almost 6 out of 10 bets are on the Bills here but more money on the Jags. He said sharps are all on the Jaguars here moving them from -7 to -8 at his shop. Nothing to report on the Total. NYC Local Bookie Report: He’s telling me it’s mostly Saints money coming in here sprinkled in with some sharp money on the Saints moving them from -6 to -6.5 -120 as we go to press. He said he’ll like be at 7 sooner than later. No sharp money on the total to report. He said this Over is the most heavily bet public total tied into a lot of exotics. Las Vegas Oddsmaker Report: Another public dog here with more dog tickets on the Panthers. He said sharps are split. He took sharp money on the Saints at -6 and -6.5 but once he moved to 7 the Saints love stopped and he saw opposing sharps take the Panthers +7. His total is down a half of tick from 49 to 48.5.